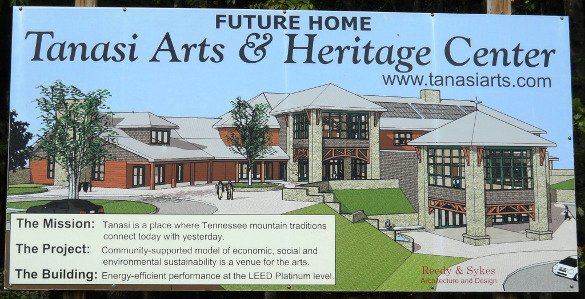 We warmly welcome our future neighbor, the Tanasi Arts & Heritage Center. And we support their efforts to celebrate Appalachian culture and heritage while promoting the region with environmental sustainability to preserve the natural beauty. For more information about the future site and progress, and their temporary home, see www.TanasiArts.org. Visit Unicoi County Chamber of Commerce for more information. Visit Tennessee State Parks for more information. Visit www.Tipton-Haynes.org for more information. Visit www.RockyMountMuseum.com for more information. Visit www.ETSU.edu for more information. Youth oriented learning and fun in science and the arts. Visit HandOnMuseum.org for more information. Visitor's Center, Antiques, Arts & Crafts, International Storytelling Center, and more.... Visit HistoricJonesborough.com for more information. Trailhead within close walking distance of the campground entrance. 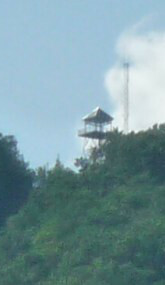 See our Pinnacle Mountain Tower Trail page or visit www.fs.usda.gov for more information. Visit the Tennessee Eastman Hiking & Canoeing Club's Trail WIKI. An excellent resource for the TEHCC maintained 132 mile section of the AT as well as information on many other regional trails. Visit www.fs.usda.gov for more information. Visit www.CherokeeAdventures.com for more information. Visit www.WahoosAdventures.com for more information. Visit www.NOC.com for more information. Stop by the registration office for brochures, maps or other assistance to plan or schedule your area excursions. The trailhead to Pinnacle Mountain Tower Trail is within close walking distance of the campground entrance. Click here for more info.